Districts: Hoan Kiem, Ba Dinh, Dong Da, Hai Ba Trung, Tay Ho, Thanh Xuan, Cau Giay, Long Bien, Hoang Mai. Rural districts: Dong Anh, Soc Son, Thanh Tri, Tu Liem, Gia Lam. Geography: Hanoi is located in the Red River Delta, in the center of North Vietnam. It is encompassed by Thai Nguyen Province to the north, Vinh Phuc and Ha Tay to the west and south, Bac Giang, Bac Ninh and Hung Yen provinces to the east and south-east. Hanoi means "the hinterland between the rivers" (Ha: river, Noi: interior). Hanoi’s territory is washed by the Red River (the portion of the Red River embracing Hanoi is approximately 40km long) and its tributaries, but there are some other rivers flowing through the capital, including Duong, Cau, Ca Lo, Day, Nhue, Tich, To Lich and Kim Nguu. 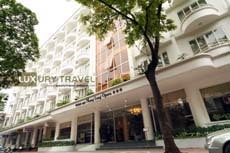 Sunway hotel is strategically situated on the quiet Pham Dinh Ho Street, enjoys a quiet location French quarter of Hanoi city, with convenient access to downtown commercial establishments. - A variety of entertainment, shopping opportunities and some of the renowned tourist attractions are close by. Hoan kiem Lake is only 15 minutes walk away. 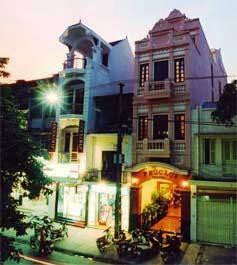 Hanoi, the city of Peace with a thousand years of historical. 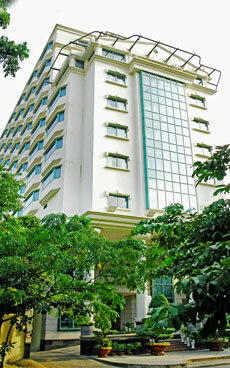 Located in the heart of town and near the North Gate of the ancient Royal City of Thang Long citadel, the Flower Garden Hotel offers a splendid view of the Red River passing across the city with the historic Long Bien bridge, one of the oldest steel bridge in Southeast Asia, which has been designed by the famous engineer Gustave Eiffel, and built more than a century ago. Inspired from the charming elegance of Hanoian, we built the hotel with 83 cozy rooms and high-standard service areas, and named the hotel the same way of Hanoian offering love to their beloved one. With all our efforts and hospitality, we wish to realize customer’s comforts and satisfaction in all our services at Flower Garden Hotel, and steadily move towards the service excellence. - In the midst of the city's hustle & bustle, comes a hotel with unique features and 'Service Quality" - The 'Zephyr' Hotel, in Hanoi's most prestigious Hoan Kiem Lake District. - Featuring 40, most luxurious rooms & suites, all rooms are fully equipped with IDD telephones, Tea & Coffee making facilities, Mini Bar, Safe Deposit Box, Color Television with Cable Vision and the most impeccable range of bathroom toiletries. Thuy tien hotel ideally located in the center of commercial, financial and banking installations of Hanoi, and only three minus to Hanoi Opera house and five minutes working from the lake of Hoan kiem lake or Hanoi Old quarter, the hotel is quite convenient to the need of tourists and businessmen. 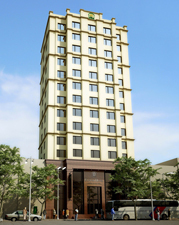 - Build in 1994, 6 floor building three star hotel with 2 lifts offer you high quality accommodation but at economical prices. - The Thien thai hotel is ideal located at the north west corner of Hanoi Old quarter, near Dong xuan Market, but the hotel itself also not too far from West Lake (Ho tay), and it is in the quite street. 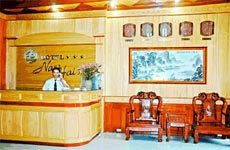 - The motto of Thien thai hotel is bring you to the Paradise as it is name in English. - Situated on the most beautiful and tranquil West lake, its natural beauty just is one of many things to discover during your stay in Thang Loi hotel. - Room on the lake with balcony. Large garden. Full of fresh air. Nam Hai 1 Hotel (Hotels in Hanoi - Hanoi hotel Vietnam) is located in the area of 36 old streets in the center of Hanoi Capital - Vietnam. The Nam Hai Hotel is near such major tourist attractions as Ho Guom (Hoan Kiem Lake), Van Mieu Quoc Tu Giam (Temple of Literature), Chua Mot Cot (One-Pillar Pagoda), Vietnam’s History Museum, The Museum of Vietnamese Art, Ho Chi Minh Mausoleum and more. - Our hotel is located in the Old Quarter at the center of Hanoi; a charming neighborhood of French colonial buildings on narrow tree lined streets near Hoan Kiem lake. There are many cafes, restaurants and street stalls offering local Vietnamese and international foods. Shoppers will be happy browsing through the small shops selling local handicrafts, art, books, silk, clothing, jewelry and so much more. - Similar 03 Stars standard hotel, in side of the Hanoi's old quarterNhat Tien Hotel is a convenient place for travelling, transaction of organises and tourist. 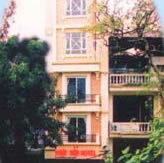 The Hotel has 39 standard rooms with modern and comfortable furnishings.